EVERYTHING is definitely NOT as it seems! Everything that we have been taught through religion, is NOT the TRUTH! We live in TIMES of RESTORATION . . .
Truth-Seeking believers are AWAKENING to the UNdefiled TRUTH of Scripture - WITHOUT the influence of man, church, or denomination. Coming from a background of doing my Bachelors Degree in Theology, to being ordained as a charismatic pastor in the mid 2000's, to serving in the broader community since 1999 - I have MUCH to SHARE, pertaining to HOW I was deceived, even after getting my degree with a mid 90% average, serving as a committed pastor. 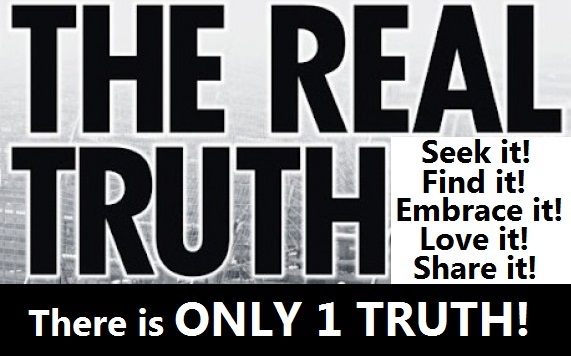 I have NO INTENTION or right to judge or label anyone - but I have a RESPONSIBILITY towards My Creator, Father and First Love to WITNESS His Truth (Scripture), WITHOUT COMPROMISE, and WITHOUT PAYMENT! As I said before - this study is NOT intended to judge or condemn any person or institution, but merely to WITNESS the TRUTH of Scripture, which has been withheld from truth-seeking believers by the lies and deception of man. For thousands of years, religion has successfully taught and presented a "Messiah with counterfeit teachings" - a type of an "Imposter" - WITHOUT the vast majority of believers even knowing or realizing it (including me, whilst I was still serving as a pastor). There are only a few similarities between the MESSIAH Who Scripture reveals to us, and the Messiah that [religion], and man have taught for centuries. These similarities include . . .
= He died on a tree/stake, and was raised after 3 days (and 3 nights according to Scripture). = He lived a sinless life . . .
but WHAT about all the DIFFERENCES between what The TRUE MESSIAH of Scripture taught and lived, versus what the "Messiah of religion" taught and lived? Many denominations within religion have CHANGED Messiah's NAME, [many] of His TEACHINGS, His LANGUAGE & CULTURE, as well as [some] of His BELIEFS. SADLY, the vast majority of believers don’t realize how they have been deceived and lied to by the men and women, whom they trusted, but who are in fact false or ignorant shepherds and prophets, exploiting them, even brainwashing them - guiding them to give their tithe’s and offerings, enabling them to build their own kingdoms and live a comfortable lifestyle. Firstly we have to UNDERSTAND Messiah’s background, His culture, and His language - guiding us to His true identity. The culture, heritage and mind-set in which any person is brought-up, as well as their language will help mold them into becoming who they are. An Afrikaans speaking boer from South Africa will struggle to adopt a Chinese culture, their lifestyle, and their language, if he/she wasn’t brought-up in this way. Messiah was a Hebrew [and a Jew], Who was brought-up in a Hebrew culture, with a Hebrew mind-set, and OBVIOUSLY had a Hebrew name. Please continue to read WHY this is SO IMPORTANT to understand! 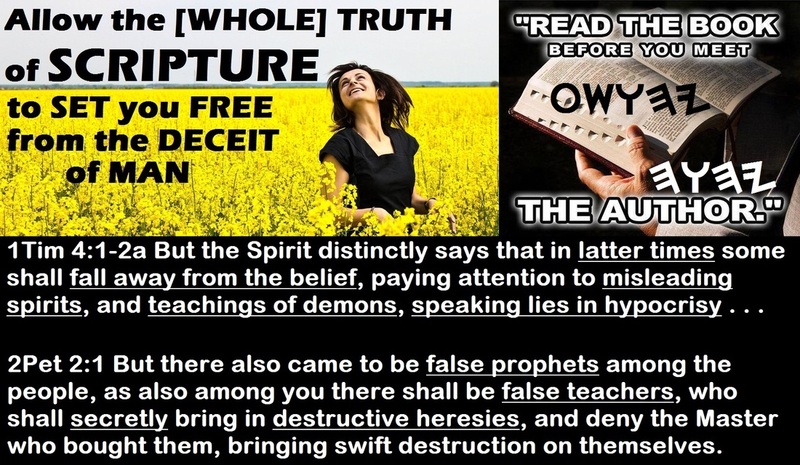 SADLY the vast majority of believers don’t study Scripture, but believe everything that they are taught from pulpits by false and/or ignorant teachers and prophets. The Messiah that religion proclaims is taught to be the TRUE [Messiah], but if we STUDY SCRIPTURE, we will clearly see a CONFLICT in [name], [beliefs], [teachings], and [attributes] from the TRUE Hebrew MESSIAH, who guarded His Father's Torah (law). Scripture teaches us that FALSE MESSIAH’s will arise! “For FALSE MESSIAHS and FALSE PROPHETS shall arise, and they shall show great signs and wonders, so as to LEAD ASTRAY, if possible, even the chosen ones”. Scripture FOREWARNS us of FALSE teachers and prophets, masquerading as messengers of righteousness. For such are FALSE emissaries, DECEPTIVE workers, masquerading as emissaries (apostles) of Messiah. And no wonder! For Satan himself masquerades as a messenger of light! But there also came to be false prophets among the people, as also among you there shall be false teachers, who shall secretly bring in destructive heresies, and deny the Master who bought them, bringing swift destruction on themselves. Who is the Messiah that religion proclaims? He abolished His Father’s commands, and nailed it to a “cross”, thus allowing us to continue sinning, because our sins are covered by grace. He died on a Fri-day, and was raised on a Sun-day. He observed the first day (sun-day) Sabbath. He did not guard His Father’s Appointed Times, because He nullified the law, and in the process gives believers' permission to observe [pagan] festivals and holidays, like new years, valentines, easter (instead of Passover), thanksgiving, halloween, christmas, etc. He was born on 25 December, which is actually the birth-date of Tammuz (a pagan god). Tammuz, the son of Nimrod (sun god) and Semiramis (queen of heaven/Isis), was born on the Winter Solstice, which on the ancient pagan calendar is December 25th. This day was celebrated as the day Nimrod was reborn as Tammuz. It is also a date common among pagan religions. Other “gods” that share Tammuz birthday are Ra, the Egyptian “sun god” and Zeus, the Greek “sun god”. He had a Greek name Iesous (which was later translated to "Jesus" in the mid 1600’s). He taught that we may eat anything that our hearts desire. He taught that we are saved by grace, and that we cannot fall from grace, even if we continue to sin (once saved, always saved doctrine of man). He was send to the whole world. He came in his own name (Jesus). We call upon Jesus' name for [salvation]. Look below at 2 video's to reveal some hidden truths . . .
﻿﻿Please note that I am NOT linked to, or associated to any of the ministries mentioned in the video's below. 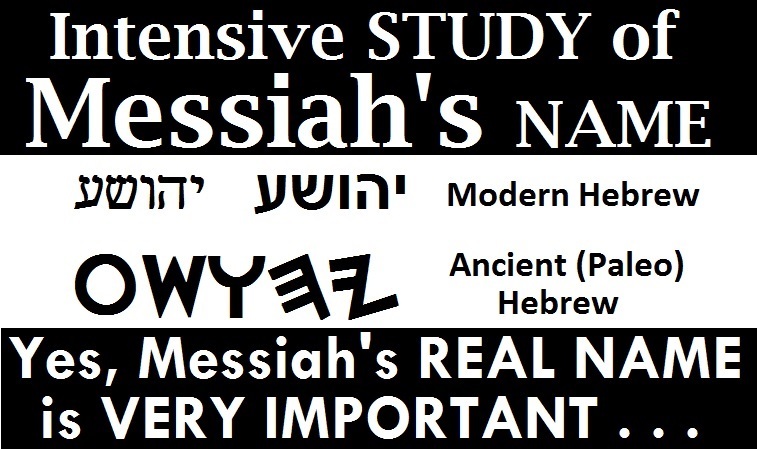 See deep study of Messiah's TRUE NAME at the bottom of this webpage - His Name is VERY IMPORTANT, pointing us to salvation! Where did the name "Jesus" originate, as well as the title "Christ" and the words "holy", "cross" and "amen" - as NONE of these names, titles or words appear in the original Scriptures, written in ancient Hebrew? WHAT He truly taught and lived . . .
Who is the TRUE MESSIAH, taught through Scripture? The TRUE Messiah taught a gospel of REPENTANCE (Mat 3:12; Mat 4:17). 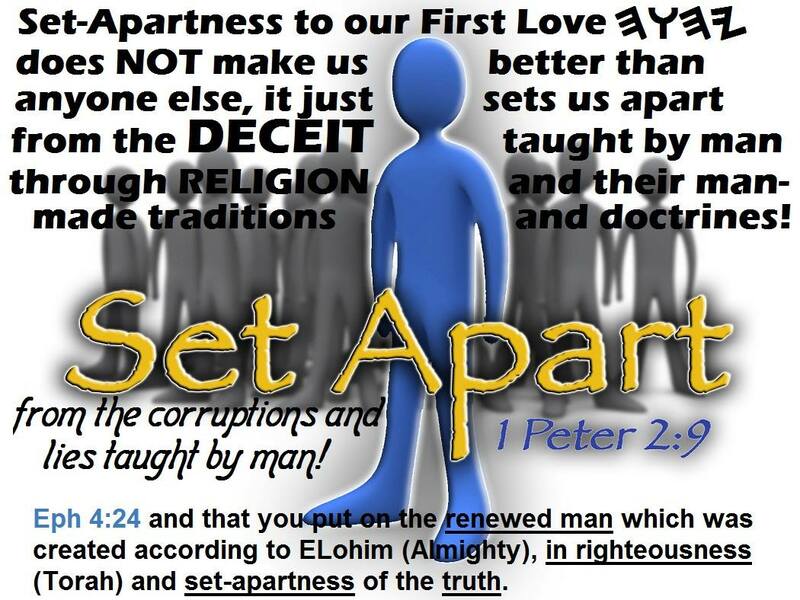 He taught His Father’s commands (Yohn 8:28 and Yohn 12:49), and taught that NOTHING of His Father’s Torah (law) will be removed (Mat 5:17-19 and Mat 7:21-23). The TRUE Messiah died mid-week (because He was in the earth 3 days and 3 nights – Mat 12:40). Messiah was raised BEFORE the first day (Sun-day) of the week (Mat 28:1-6; Luk 24:1-6; Yohn 20:1-2). The TRUE Messiah observed His Father’s Appointed Times (Mat 26:17-19; Mar 14:12-16). His birth at Tabernacles (7th Feast - seven (7) is also the number of spiritual completeness/perfection). His death at Passover (1st Appointed Time). His burial at Unleavened Bread (2nd Feast). His resurrection at First Fruits (3rd Appointed Time). The giving of His Set-Apart Spirit at Pentecost (4th Feast). His return at The Day of Trumpets (5th Appointed Time). If Yohanan (John) the Immerser was born at Passover during the Spring Feasts, Messiah must have been born during the Fall Feasts, and most probably at Tabernacles. In Luk 1:26 and 36 we are told that Messiah was six months younger than Yohanan. We are given clues about the time of the birth by the messenger who appeared to the shepherds and said "Do not be afraid. For, behold, I bring you good tidings of great joy, which shall be to all people." (Luk 2:10). Sukkot (Tabernacles) is known as "The Season of Joy", and it is also known as the "Feast of the Nations". The messenger was probably giving them a greeting for the Feast of Sukkot. This is the only feast where the Gentile nations are positively encouraged to participate. If any nation refuses to go and worship Almighty Yahu-ah at this Feast, there will be no rain on their land (Zech 14:16-19). When we consider the seasons and weather patterns in Israel, one might ask "What is the possible time of year in which shepherds would still be outside with their flocks in the Judean hills AT NIGHT?" Gregorian November through February are far too cold in Israel to be doing this kind of activity. The answer points to the month of October. Sukkot always falls in the September-October time frame when the weather is still warm and pleasant outside, even AT NIGHT. The type of dwelling in which Messiah was born is also a point for consideration. Had it not been for the inconvenience caused by the census, He would have been born in a house like all other children. But He wasn't, He was born in a type of Sukkah, where servants of a household slept, or where they kept sheep and cattle. Luke used the Greek word "manger". Yohanan's narrative of Messiah's birth, confirmed this truth, when he indicated that Yahu-ah had come to earth to dwell with humanity. We read in Yohn 1:14 about how "The Word became flesh and made His dwelling (Tabernacled) among us", which is a clear and obvious reference to Sukkot. The TRUE Messiah was born from the genealogy of Abraham and Dawid - both of whom were Hebrews (Mat 1:1 and Gen 14:13). Messiah was thus brought-up in a Hebrew culture, from a Hebrew perspective, had a Hebrew mindset, and he obviously had a Hebrew Name. YES, this definitely matters! Please read further! Messiah taught ONLY His Father's commands (the same commands that The FAATHER gave to Mosheh (Moses) to teach). 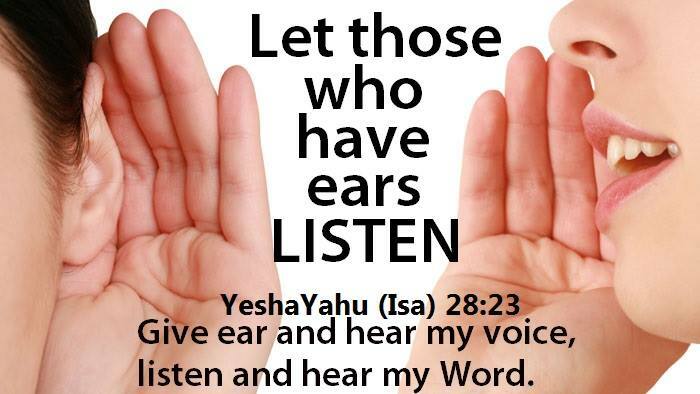 Messiah did NOT teach His own commands - He taught ONLY His Father's commands (Yohn 8:28 and Yohn 12:49). The FATHER declared certain animals clean and others unclean to eat (Lev 11 and Deut 14). This has NEVER changed! Messiah would NEVER violate His Father's commands - in fact, He demonstrated to us HOW to obey the Father, even unto death (Yohn 8:29). The TRUE Messiah taught that ONLY those who does His Father's will (obeys His commands) will ENTER His reign (Mat 7:21). He also taught that He NEVER knew those who walked in lawlessness (continue walking in sin). Read Mat 7:22-23. The TRUE Messiah was ONLY SEND to the LOST SHEEP of the HOUSE of Yisra'el (Mat 15:24). He also send His Talmidim (Disciples/taught Ones) to the lost sheep of Yisra'el (Mat 10:5-6). Sha'ul (Paul), Barnabas, Timothy and others was send to the Gentiles (Acts 13:46; Acts 15:12; Gal 2:9). The TRUE Messiah came to earth IN HIS FATHER'S NAME (Yohn 5:43), and He did everything IN HIS FATHER'S NAME (Yohn 10:25). His FATHER and He ARE ONE (Yohn 17:11 and 22). The FATHER is our Saviour (through His SON as mediator), and we CALL UPON His NAME to be saved. The NAME of the Son is in His Father's Name, and confirm their "Oneness". The Name of the TRUE Messiah means "Yahu-ah, The Father saves (through His Son)". See all the Scriptures below for confirmation . . .
"I, I am יהוה, and besides Me there is no saviour". "And it shall be that everyone who calls on the Name of יהוה shall be delivered. For on Mount Tsiyon and in Yerushalayim there shall be an escape as יהוה (YHUH) has said, and among the survivors whom יהוה calls". Messiah's TRUE Name means (Yahu-ah, The Father, saves (through His SON)). This is CONFIRMED through Scripture . . . If we UNDERSTAND all the scriptures above, we will ALSO UNDERSTAND the following Scripture . . . This [Name] was NEVER "Jesus" to begin with - please ALSO NOTE what Scriptures teach - there is ONLY ONE NAME by which man can be saved, NOT variations of one name, or many names - ONLY ONE NAME! ﻿To conclude . . .
"You worship what you do not know. We worship what we know, because the deliverance (salvation) is of the Yahuḏim (Jews)" - [NOT the Greeks]. What did the TRUE MESSIAH teach about the traditions and doctrines of man? And He answering, said to them, “Well did Yeshayahu (Isaiah) prophesy concerning you hypocrites, as it has been written, ‘This people respect Me with their lips, but their heart is far from Me. And IN VAIN do they worship Me, teaching as teachings the COMMAND of MEN.’ “FORSAKING the COMMAND of Elohim, you hold fast the TRADITION of MEN.” And He said to them, “Well do you set aside the command of Elohim, in order to guard your tradition. What did the TRUE MESSIAH teach about lawlessness (forsaking the commands of Almighty Yahuah (YHUH/YHWH))? “And because of the increase in lawlessness (breaking the commands of Almighty [Father] Yahuah), the love of many shall become cold”. “So you too outwardly indeed appear righteous to men, but inside you are filled with hypocrisy and lawlessness”. What did the TRUE MESSIAH teach about what real LOVE is? “If you love Me, you shall guard My commands”. WHICH Messiah will you accept, follow and serve? If you love the TRUE MESSIAH, GUARD His commands – the SAME COMMANDS that Mosheh (Moses) and all TRUE prophets guarded, including Messiah and even Sha'ul (Paul). May those who seek TRUTH, OPEN their hearts to it and be SET FREE by it.